The Sunshine State is a boating paradise, providing boaters with year-round opportunities to fish, ski and spend time with friends and family on the water. 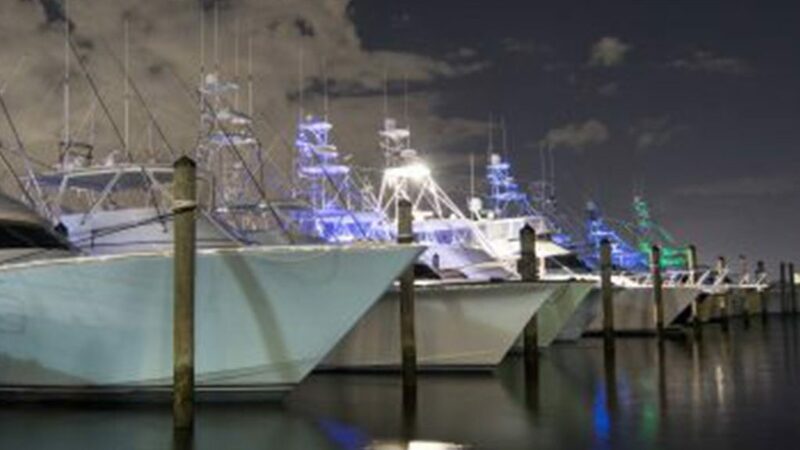 The marine industry is also an important part of Florida’s economy, representing a $15.3 billion economic impact in 2015, according to a recent report by the Marine Industries of Florida. Healthy estuaries are the most critical component of the clean, safe, and vibrant waters which keep marine industry customers coming back to enjoy yet another beautiful day on our waters. The marine industry is a key job provider for Florida- representing 183,800 jobs in 2015. These jobs include boat sales, manufacturing, mechanics and many others. These are good, fulfilling, jobs with benefits that help provide Florida residents and visitors access to the state’s most valuable resource- clean water. Most marine industry employees sought out jobs in this industry as it allowed them to work in an area they loved and they are often the first on the water, even on their days off. While some customers make marine industry purchases just to enjoy a day on the water, island hopping or visiting their favorite sandbar, others make purchases as a result of their love for fishing. Fishing has a $9.3 billion annual economic impact in Florida and is closely tied to the marine industry. There is no doubt that fishing requires healthy estuaries and the marine industry as a whole is no different. People come to Florida so they can enjoy our waters. Unfortunately, Florida’s estuaries are slowly dying as a result of alterations to the state’s natural watersheds. Ever since the diking and draining of the Everglades began over a century ago, water that historically flowed south from Lake Okeechobee to Florida Bay is now diverted east and west into the Caloosahatchee and St. Lucie Rivers. This causes harmful and unnatural discharges of nutrient and sediment-laden freshwater to the rivers while starving the Everglades of desperately needed freshwater. Even if you are not a scientist and haven’t studied the harmful impact these sediment-laden waters have on our seagrass you may be able to relate to your time spent scrubbing brown stains from the waterline of a boat that has spent any time in south Florida’s coastal estuaries. In addition to leaving a stain on your fiberglass, disrupting natural freshwater flows into an estuary harms seagrass, fish and other marine life. Florida Bay recently experienced a 40,000-acre seagrass die-off that began in the summer of 2015 as a result of decreased flows to the estuary; at the same time the excess fresh water on the East and West coast caused seagrass to die from too much dark, fresh water. The solution to the problems Florida’s estuaries are facing is fundamentally simple: restore freshwater flows to the Everglades and Florida Bay. Unfortunately, many of Florida’s policymakers and water managers do not see the value of clean water and healthy estuaries as we do, because they do not rely on it the same way we do. It is our responsibility to tell our policymakers what is at stake as it relates to our economy and way of life. Captains for Clean Water is a 501(c)3 organization that unites various user groups to educate the public and advocate for a meaningful restoration of America’s Everglades. Do your part by signing the #NowOrNeverglades Declaration, and learning more about the issue on our website.